Kindly decide your choice of room and inform the Admission & Billing Department. 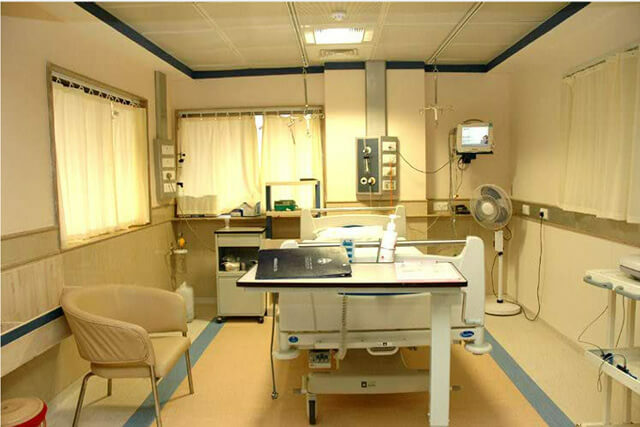 The Day-Care caters to patients undergoing surgeries/procedures that do not require an overnight stay (07:00 am to 08:00 pm) in the hospital. All minor, intermediate, major procedures eg. Cardiac Catherisation, Cataract with IOL etc. can be performed in the Day-Care. For more information, kindly contact your Consultant/Surgeon or Day-Care receptionist on Tel No: 24447512. For confirming a surgery, you are requested to pay a Reservation Deposit within 72 hours ( 48 hours in case of cardiac patients) of the date of booking or one day prior to admission whichever is earlier. Only a surgeon/consultant can cancel/postpone a surgery on medical grounds & authorize a refund. Please contact the Admission counter after cancellation. On the Date of Admission if you don't receive a call from us on the Tel. No. given by you, you are requested to call on 24447530/24447531/24448524 after 01:00 pm to confirm your bed allocation. Reservation does not confirm the bed of your choice. While all efforts will be made to give bed/class of your choice, this may not be always possible as it will depend on vacation/discharges and medical status of previous occupant. O.T. Booking form / Doctor's note for planned cases. 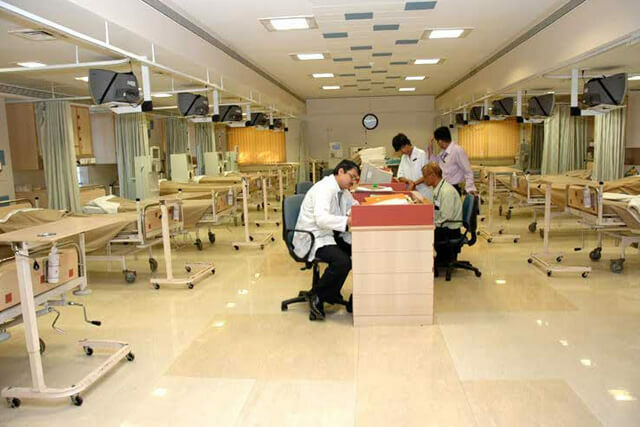 Reservation deposit vouchers, the balance amount or total deposit for medical / surgical cases. Deposits / Payments are to be made in Cash / Bank Draft / Traveller's Cheque / Citi Diners, ICICI, Master and VISA cards. Credit memo / letter with billing class or Identity Card for Emergency Admission to be shown for reference. H.H . No: if allocated either in OPD or previous admission. 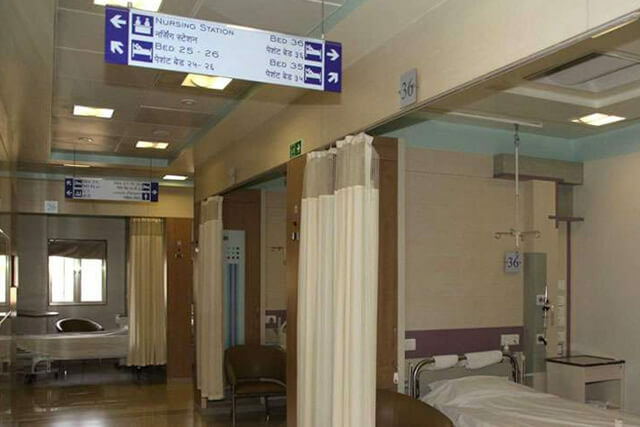 At the time of admission if you have not been allocated the bed of your billing choice (higher or lower), kindly give your request in writing to the staff on duty. 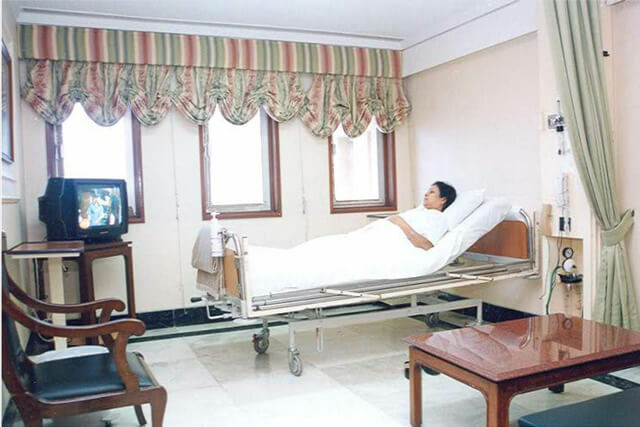 Special facilities are provided for Suite, Deluxe, Special class & credit patients. On arrival, please contact the Lobby Receptionist. 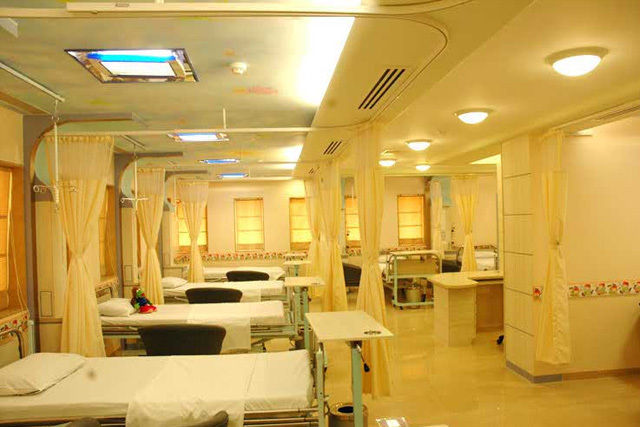 After admission the patient can be transferred on written request to higher/lower class subject to the availability of beds. All charges shall be billed for higher class retrospectively. A request for lowering class in ICU will be after minimum 4 days stay, and payment of all dues. Every Monday ,Wednesday & Friday , a statement for the amount accrued to your account shall be provided. It will be appreciated, if the same is settled within 24 hours. Please note that Admission/Security Deposit is not adjusted against these charges. All deposit receipts are made in the name of the patient.During your stay if you have not received any intimation of amount accrued to your account, kindly contact the Billing counter. Help in keeping the number of visitors and the noise levels low. We issue only one pass for an attendant in shared / common wards and two passes for Special, Deluxe & Suite classes.